Why Choose Midwest Motors For Your Truck Bed? Truck Beds Near St. Louis - Why Choose Midwest Motors? Midwest Motors has been serving St. Louis' work truck needs since 1995! We are experienced in working with all sorts of trucks, from small to large, gas to diesel. Our technicians are experienced with the ins and outs of our trucks, so when we put trucks on the dealership lot, we know they have been serviced by a team that knows what they're doing. 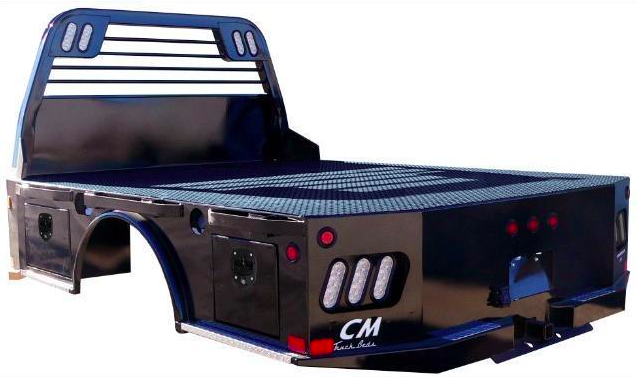 In addition to being a used truck dealership, we also sell and install CM Truck Beds at our location just outside St. Louis in Eureka MO. We even have an ebay store! Whether youre in St. Louis or anywhere in the USA, Midwest Motors is your home for flat beds and truck bed sales and installation!